Last week we discussed the afterlife of the Buick aluminium 215 engine. Such a re-use is not what I have in mind in terms of rooting around the parts bins. Rover had the decency to rework the engine –endlessly – to make it work so that by the time they had stopped fiddling in 2004 there was little a Buick engineer from 1957 might recognise other than the porosity problems and flagrant thirst. That door handle up close: eBay.co.uk. This one comes from a Lotus Eclat but would fit nicely on an Allegro. Some other items of componentry went from their donor car to subsequent applications unchanged. The famous ones include Harris Mann’s door handle which went on from its early role on the Allegro to more exotic work as the means to get in to a Lotus Eclat, Lotus Esprit and Land Rover Discovery. The Allegro’s indicator switch gear served on the Lamborghini Diablo. 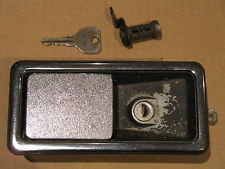 Also in the category “doorhandle” the Ford Cortina’s door handles had a nice retirement on the Aston Martin Lagonda. The first Ford Mondeo’s tail lamps suited Noble so they put them on the M12. I wonder do the designers find lamps that suit or do they find the lamps and work outwards? Another example is Opel’s Senator B which kindly donated its tail lamps to the Bristol Blenheim. They did not stand out as being conspicuously alien unlike the Audi A6 tail lamps seen here. What is perplexing is how the designers managed to take the circular lamps of the New Beetle and make them look utterly wrong on the Morgan Aero 8. Only Citroen aficionados are aware that PSA inflicted the centre stack of the Peugeot 407 on the C6 which came from a class above. This example is particularly egregious since Citroen had gone to enormous lengths otherwise to make the C6 a distinguished vehicle, visually. 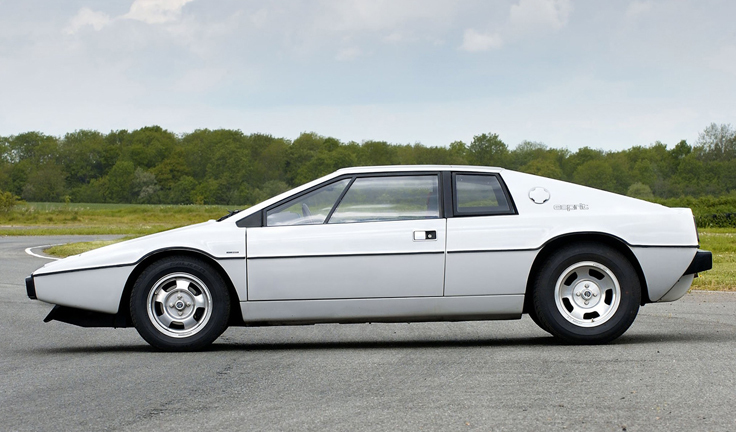 We will recall the Citroen CX mirrors that Aston Martin used on the Vantage but which were also used on the McLaren F1 supercar, Jaguar XJ220, the Lotus Esprit, the AC Ace , and the TVR Griffith and Chimaera – thanks to the Independent and Richard Bremner for those details. He didn’t mention the use of Rover SD1 lamps on early Lotus Esprits. Moving on to less exciting fare, VW have been quite creative in re-using some of their huge inventory of bits, especially before the Chinese market became more picky about its cars. 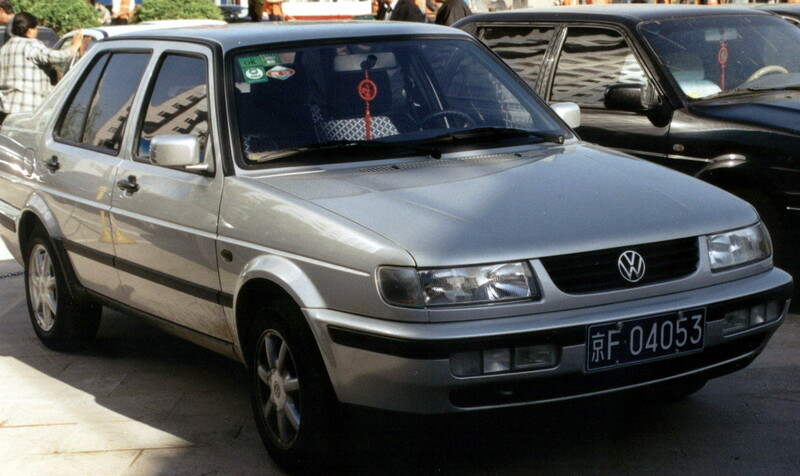 The Corrado dashboard and Polo headlights were re-incarnated in the Mark 2 Jetta as it was presented in the early 00s, sold as the VW König, I believe. I could go back in time a bit to the 1970s to list the many VW items used on the 924 but I feel this article should concern itself with visible items and not mechanical componentry. I suppose the two main themes of car parts having second lives revolve around specialist manufacturers borrowing bland and innocuous parts, costly things like lamps, to save money and big corporations sending obsolete first world parts to have a tour of duty in the colonies. BMC sent an entire car over to India to become the Hindustan Ambassador – but again that seems like another class of secondhand. What about the Ford Galaxy’s door handles, which I am quite sure served on the Ford Focus III and possibly the Kuga and current Fiesta? Or the C-Max dashboard which re-appeared in the Kuga without anyone mentioning it? I was going to say that a properly secondhand part must come from a donor car that is discontinued. The Citroen CX mirror seems to be a very good candidate for the most clearly visible component from the most clearly discontinued car used on the most exotic of vehicles. I notice that tail lamps seem to be more frequently used than headlamps since they are imbued with less of the car’s design language than the headlamps (making Morgan’s case all the more odd since circular lamps avoid any character at all). A notable exception is that the Nissan 350 XZ lamps appeared on the Lamborghini Diablo SV. That’s as much of this kind of trivia as I can stand to serve up today. I would be interested to hear of more contemporary examples – or is the parts-bin car a thing of the past? 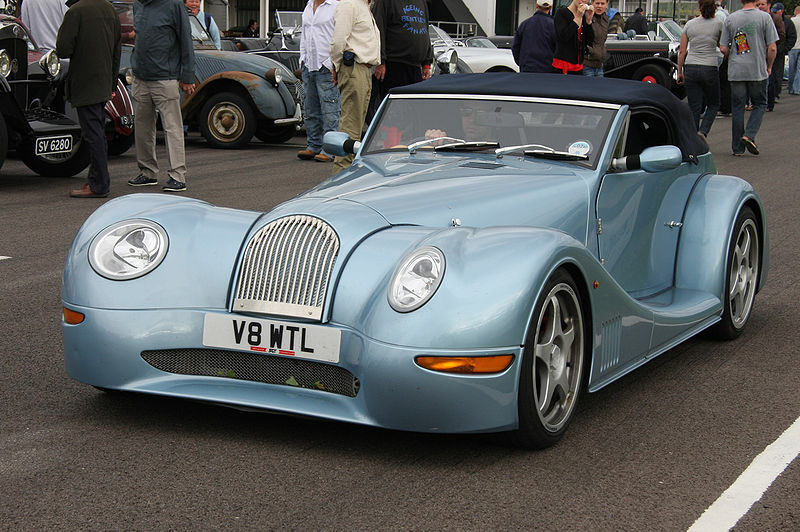 These aren’t actually Beetle headlamps on the Morgan, are they? Gosh! Both Colin Chapman and Peter Wheeler of TVR were adapt at creative parts bin raiding but there’s possibly another category for cars that look as though they have raided someone else’s parts-bin, but haven’t. For me, primary among these is Rolls Royce. The Silver Shadow, Corniche, Camargue and Silver Seraph all have rear lights that look as if they have been borrowed off other vehicles, but probably cost RR a tidy sum to engineer. That was funny but also not very true. I had a look at some of those cars. Only the Camargue has clearly ill-fitting lamps. The Seraph´s look fine; wasn´t that a charming car? I particularly like the rear aspect. These cars ought to offend my egalitarian principles but they don´t. They are elegant without being arrogant. It might have something to do with the rounded forms which are quite welcoming. What I’m saying is that they reminded me of something from somewhere else – a Ford Corsair, MGB, for instance. That suggestion doesn’t stand close scrutiny, but they never felt distinctive enough. I always felt the Seraph rear lamps came from something I couldn’t quite identify, but they’d used the old Peter Wheeler trick of fitting them the other way round. Strangely a Seraph, Spirit and Shadow do offend my principles, whilst an Arnage, Mulsanne and a T1/2 don’t. I’m that superficial.